New York City is famous for many things… and one of them is pizza! Every time we visit NY, we always make time for having a pizza, even if it’s only a slice or two. This top-rated Pizza Walking Tour of Manhattan has been featured on the Travel Channel, Food Network, Cooking Channel and Discovery Channel. Come and see for yourself what make this pizza tour so popular with foodies from around the world. It’s a “must-do” for pizza-lovers! This entry was posted in Food / Restaurants, Fun Things to Do, Travel, U.S. / North America and tagged greenwich village, little italy, Lower East Side, manhattan pizza tour, Neapolitan Pizza, ny pizza, ny pizza tour, ny pizza walking tour, ny pizzerias, pizza walking tour, pizza walking tour manhattan, sicilian pizza, soho on March 2, 2016 by Alana. See New York City like you’ve never seen it before. NEW this Summer – the TMZ New York City Celebrity Tour! See the hottest spots in New York where the celebrities go to play – and where some of them get into trouble. Get the inside scoop on your favorite TV, movie, and music stars. And be prepared to be entertained. This entry was posted in Fun Things to Do, Travel, U.S. / North America and tagged britney spears, celebrities, chelsea, gossip, greenwich village, lindsay lohan, meatpacking district, michael jackson, NY, nyc celebrity tour, paris hilton, soho, TMZ, tmz nyc, tmz tour, tribeca, US on July 16, 2013 by Alana. Food-Tasting & Cultural Walking Tours – what better way to explore New York City! If you’re a foodie and like to eat (and who doesn’t!) – and enjoy culture, walking and shopping in one of the world’s most famous food & walking cities, consider taking a Food-Tasting & Cultural Walking Tour during your next visit to New York. 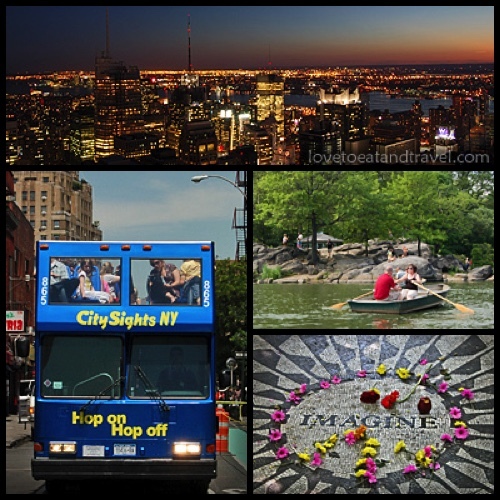 It’s one of our favorite things to do when visiting Manhattan – it’s also popular with the locals! What better way to explore NYC’s diverse areas, learn about its history, culture and architecture (tour guides are friendly and extremely knowledgeable), taste local specialties (come with an appetite; we guarantee you won’t leave hungry)… and walk it all off! It’s also a great way to meet new people who share your passion for food and fun! 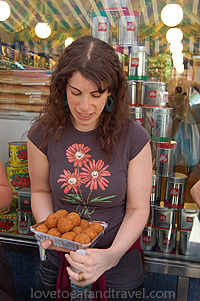 Foods of New York Tours offers five unique food-tasting and walking tours, including: Greenwich Village, Chinatown, Chelsea Market/Meatpacking District, Central Village/SoHo and Nolita/NoHo. We’ve taken several of their tours (read more below) and highly recommend them. This entry was posted in Food / Restaurants, Fun Things to Do, Travel, U.S. / North America and tagged chelsea market, chinatown, cultural walking tours, food tasting, food tours nyc, foods of ny tours, greenwich village, little italy, New York City Fun, noho, NY Food & Walking Tours, soho, walking tours nyc on August 24, 2011 by Alana. Thanksgiving Weekend in New York City s very special. There’s so many fun things to do and see in the “city that never sleeps.” We’ve narrowed down some of our favorites: Top 10 Fun Things To Do in NYC during Thanksgiving Weekend. This entry was posted in Uncategorized and tagged brooklyn bridge, central park, greenwich village, new york, new york thanksgiving, ny, ny attractions, ny fun, ny winter attractions, radio city christmas show, rockefeller center, thanksgiving, thanksgiving in ny, thanksgiving weekend in ny, times square on October 26, 2009 by Alana and Barry.